The organization needs to ensure whether their data centre poised to handle the rising number of security threats and if it can meet security and compliance requirements for hybrid cloud solutions. Businesses deploy hybrid clouds across their infrastructure should have the confidence of knowing that their digital business is protected at a foundational level. 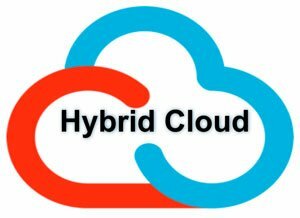 The organization that offers the hybrid cloud services should deliver a security-hardened platform that protects data at rest, in use, or in transit along with a comprehensive support across all aspects of security, including data recovery, resilience, secure key technology, and more. Next key thing that the organizations need to know is whether their data centre fully optimized and adequately supported or not. Also, do specific business or infrastructure requirements conflict with developing cloud solutions? Or perhaps you have identified the right solution for your business, but need to implement it faster? Hybrid cloud services should provide access to a rich ecosystem of cloud solutions from industry-leading solution vendors. They should also help to streamline cloud solutions with converged and pre-validated software-defined infrastructure (SDI) stacks that are ready to deploy, include rich enterprise feature sets.